1) Today’s big news out of Uptown Oakland is that Stag’s Lunchette (362 17th St.), one of the city’s better sandwich shops, will close on August 1. In a Facebook post, owner Alexeis Filipello wrote, “Over that past year organic food, labor, and every facet of this business has gotten more expensive and we just realize that our organic/sustainable business is barely sustainable.” As of this posting, I haven’t heard back from Filipello about her next steps — but according to Tablehopper, she’s not giving up the space entirely. 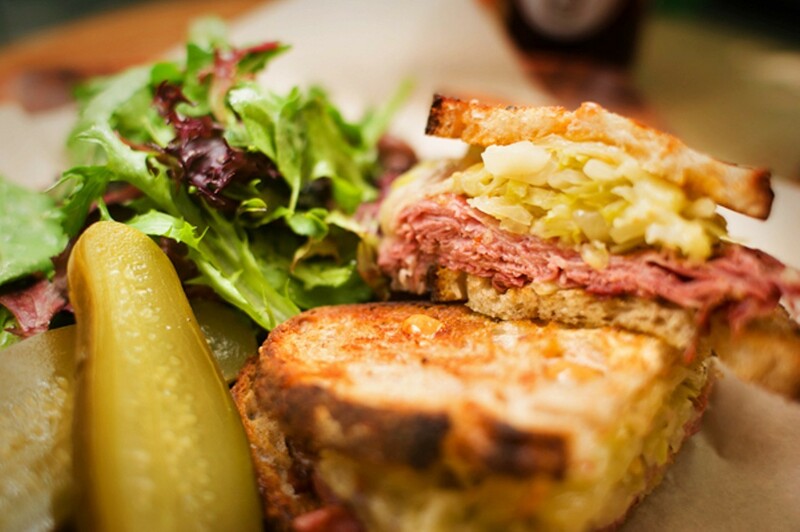 Instead, it seems Stag’s will be replaced by a new concept focused on “box lunches and company lunches.” Stay tuned. 2) Inside Scoop reports that everybody’s favorite West Oakland Korean restaurant, FuseBOX (2311A Magnolia St.), will expand into the office space next door. The upshot: double the indoor seating, a larger bar, and more booze options. 3) Eatsa, the automated quinoa-bowl chain, will open its first East Bay location in the old Crepes A-Go-Go space (2334 Telegraph Ave.) near the UC Berkeley campus, Eater reports. 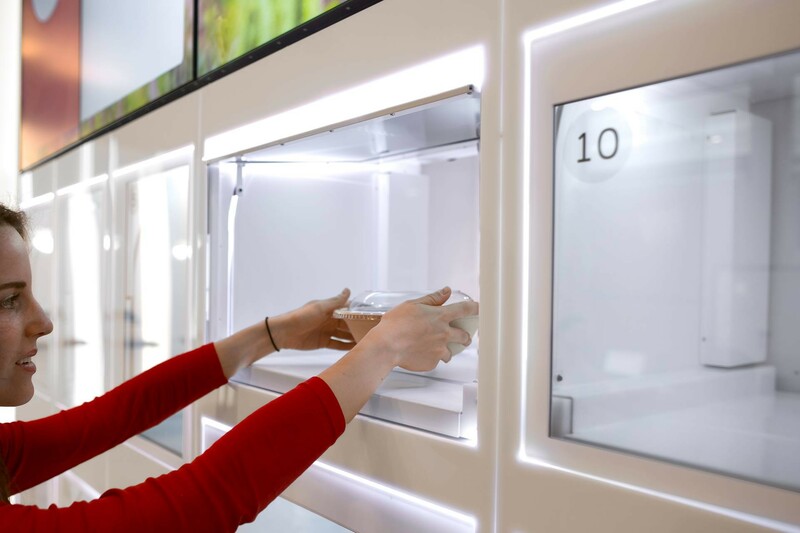 The hallmarks of the San Francisco-based fast food chain are its app-based ordering system and the fact that customers’ orders show up in the restaurant’s futuristic-looking glass cubbies without their ever having to interact with a live human being. (Allegedly, the humans are hidden in the back, where they prepare the food out of sight.) Look for a late-summer opening. 4) The Splash Pad newsletter reports that the new iteration of Grand Fare (3265 Grand Ave., Oakland), the market/restaurant hybrid that closed suddenly in November (the very week I planned to review it), will reopen on Tuesday, July 19. 5) The newsletter has two other updates of note: 1) Italian standby Spettro (3355 Lakeshore Ave.) has new owners who are of Moroccan descent and are adding a few tajines and other North African-inspired dishes to the menu. And 2) It appears that San Francisco’s Proposition Chicken has signed a lease on 3260 Lakeshore Ave. — the space formerly occupied by Lakeshore Produce. 6) Over at the Emeryville Public Market, Shiba Ramen (5959 Shellmound St., Emeryville) is hosting a beer-and-ramen event with Berkeley’s Fieldwork Brewing Co. on Saturday, July 16, 2–5 p.m. There will be bacon okonomiyaki. 7) The second annual Oakland Wine Festival is happening this weekend at the Sequoyah Country Club. I wrote about last year’s inaugural event. 8) ICYMI, a new study puts Bay Area restaurants on blast for, among other things, what might be the largest race-based pay gap in the country.